Since Google pandalized my website related earnings, I’ve been looking to get back into the workforce and restart my financial career. Having taken off 7 years to focus on blogging and online revenue generating projects, I have learned one thing about finding a job that I’d like to share in this post. Seriously, the more desperate you are and the longer it’s been since you worked, the more employers question you and are less willing to take a risk on you. Not having a job or being self employed for several years is a death sentence on your career. Years ago I was a manager of financial reporting at a public company, making six figures and cashing in on stock options. Today, I’m looking for a financial analyst position that pays only a portion of what I used to make and I can barely make it past the preliminary screenings of most HR departments. 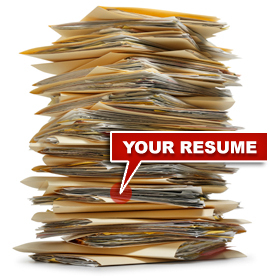 In fact, most of the time my resume is overlooked or tossed aside. Anyway, for those of you contemplating becoming self employed or quitting your jobs to blog full time – take heed. Leaving the workforce for even a few years can be a very big setback to your career and to your lifestyle. What seemed like the ideal life for the past several years has turned into a much more depressing future than I had planned.